1 How to Get Rid of the Spotify Error Code 18 Issue? Spotify is one of the best platforms to stream your favorite music and songs online. They have made a lot of applications for every OS including the Windows platform. Recently, a lot of users have reported an issue known as “Spotify error code 18” which can interrupt you while you listen to your favorite songs. So, what would you do to get rid of this error? 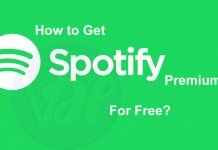 You just have to read on this entire guide to learn the ways which you can use to get rid of the Spotify error code 18 issue. How to Get Rid of the Spotify Error Code 18 Issue? Go to the Windows Search bar and type Task manager. When it appears, click on it and let it open. As soon as it opens, navigate to the processes tab. Scroll through the options that appear and look for any program related to Spotify. 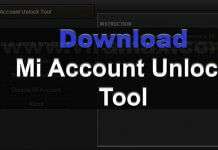 If you find any process related to the Spotify, then end the particular process. Launch the Spotify again and see if it works properly or not. Press both the Windows+E on your computer. This will open the Windows Explorer on your computer. Press the Ctrl+F key to activate the Search bar. Type Spotify in the search bar and let it search for any file related to Spotify. Once you see the files, then press both the Ctrl+A keys to select all the files. This will delete all the files pertaining to Spotify. Restart your PC to apply the changes. Press both the Windows+R keys to open the Run dialog box. Type “%appdata%” in it and click OK.
Once the AppData folder opens, then search for the Spotify Folder. Once you find it, right-click on it and select the Delete option. Press YES if it says to confirm the action. As soon as the Spotify folder is removed, then restart your computer. This will apply the changes. After that, try launching the Spotify again to see whether the Spotify error 18 comes up or not. Launch Steam on your computer. Locate to the steam option which you can find at the upper left corner. Wait until the steam closes automatically. As soon as it closes, then restart your computer to apply the changes. After that, try installing the Spotify again. If the Spotify error code 18 has occurred due to the Steam, then the Spotify will start definitely. Go to the Windows search bar and search for “add or remove programs” option. Click on the result which appears after the search. Now, you just have to go through the list of programs and find the ones which you think may be responsible for the issue. Once you find those programs, right click on them and uninstall them. After that, restart your computer. Run the Spotify installer again to see whether the Spotify starts or not. This time the Spotify should run on your computer without any problems. 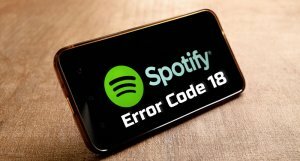 Now, you have all the information about the Spotify error code 18 and about the solutions to solve it. I hope this guide will help you to get rid of the Spotify error 18 issue. If you found this helpful, then share it with others who are still struggling with the same issue. Also, if you face any problems while following the above solutions, then let me know in the comment section.